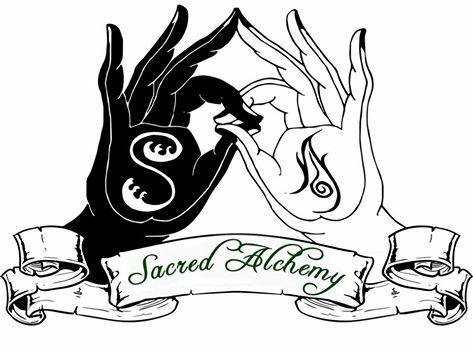 We are offering two types of consults at the Sacred Alchemy Store, the Quimbanda consult and the dafá or Ifá consult and sometimes it can be difficult to choose what consult is better suited to one’s needs, hence this article detailing the content and purpose as well as differences in these services. The Quimbanda consult we offer is long distance, i.e. in the absence of the person we make the consult for, this means that we need something called volts. A volt is something ‘of the person’ and is commonly hair, blood, saliva, nail clippings a t-shirt containing the sweat of the person and so forth. Now we never ask for this, instead we ask for these volts in the form of signature and picture of the person that somehow stands in for the volts we are not asking for, simply because to the reservations many have with sending hair, blood and nails to strangers – and for the record, you should be careful in sending such items out to people – unless it is indeed necessary and trust is solid. We also ask for a list of ancestry going back in three joints on both sides, from parents, grandparents and great-grandparents because we always feed the ancestors of the client prior to the consult. Sometimes this is difficult, it be about adoption or downright hatred of one’s ancestry. This is all fine, nameless ancestors will nevertheless be placated and fed in the initial phase of the consult. Now, given what we have to work with in terms of volts presented to spirit in a Quimbanda consult, the outcome is never possible to predict. What we guarantee is that this will address the spirits working with the person submitting this for the consult and in knowing the spirits that walks with you. This knowledge will give you a chance to understand yourself better. This because the Exus and Pomba Giras that turn up in the consult will always be spirits close to the person and in understanding their spiritual make-up we also understand ourselves better. A session in vivo with Exu or Pomba Gira is always a fun and challenging event, this because they are direct and rude oftentimes, but yet what we have found in long distance consults is that they also speak enigmatic, like they want to pass on a message to the client without the cambone (the assistant of the medium) being aware of the true nature of the message. We pass on everything spirit gives, but certainly all joking around these spirits often comes with is left out in favour of presenting a particular message, it be direct or cryptic. So, this service is for those who primarily want to gain knowledge of what type of spirits that walks with them, because this knowledge is valuable for our self-understanding given that we all have an Exu and Pomba Gira that walks with us since birth. Another benefit in this is that your spirits are also fed in the consult; it means we are buying cigars, cigarillos, candles, champagne, whiskey, cachaça etc. in your name to offer up to spirit, which always have a good tranquilizing effect on spirit and open a bond between spirit and client. This means that a large part of your investment goes directly to spirit. Now, if your need is about specific issues and problems, this can of course be brought to Exu, but perhaps our Ifá consult is better advised. Ifá is a astro-geomantic oracle that looks to the past to predict the future. More specific we find that the corpus of Ifá contains 256 patterns or matrixes/vibrations and these patterns is combined using prayers and evocative words of power along with the opele or divining chain, that is then manipulated in order to establish the energetic pattern or vibration that is recurring in a specific situation, like the unique situation you are going through right now. Hence Ifá defines the vibration and energy at play and how this was solved in the past and keeps on being solved now with the same or similar methods and in this the oracle provides solutions by defining the precise pattern of the situation that you experience as complicated. In other words, Ifá is a problem solving tool that makes a perfect diagnostic of the situation and provides solution towards resolve. So, basically, if you are on a spiritual quest and up for a challenge our Quimbanda consult is the way to go, but if you have a problem or are confused about what direction to take and how to resolve a specific situation our Ifá consult might be the better way we can assist you in getting to the root of the problem and find solutions.